KAJAKI, Afghanistan â Lance Cpl. 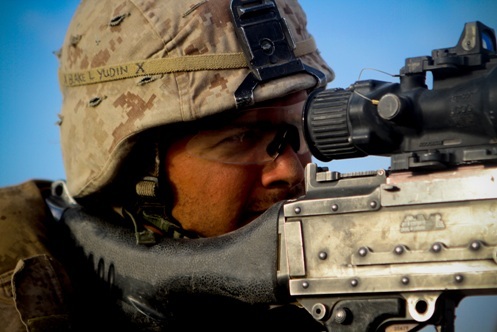 Christopher Yudin, a machinegunner with 2nd Battalion, 5th Marines, Regimental Combat Team 6, looks through his scope of his M240 machine gun, May 30, 2012. Yudin, a native of Seattle, plans to apply for citizenship when he returns from his deployment.